Afternoon Tea has been a tradition at Finnstown Castle Hotel for many years giving us the expertise to deliver it to perfection time and time again. Treat yourself to an indulgent Afternoon Tea experience in our stunning Drawing Room amongst period features and cosy sofas. Choose from a delectable selection of teas, fresh scones, sandwiches, pastries and cakes as you gaze out on our spectacular formal gardens. 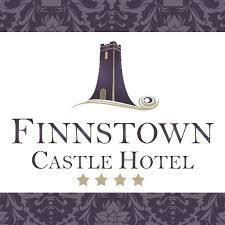 Why not invite that some special someone to join you for Afternoon Tea at Finnstown Castle Hotel, one of the finest country house hotel's in Dublin. You may even be accompanied by one of our delightful Peacocks, who just can't help coming over for a look. We really enjoyed our afternoon tea in Finnstown Castle. The service was prompt and friendly. the food was good. We are a family of picky eaters and would have preferred if we could choose the sandwich selection beforehand but what we did eat was yum. My only real disappointment was that the afternoon tea seemed to be held in the back room that was darker and less inviting. It looked more like a function room (they appeared to be setting up for a function in there while we were eating). There were nothing but free tables in the restaurant part and it would have made for better atmosphere if we were seated there. All in all I would definitely go back again. the selection was not as nice as when I had been there before. cheap deserts with higher price. Visited Finnstown for afternoon tea with my mum, and we were very happy with the service provided! Great atmosphere, friendly staff and food was delicious. Great price too! We will definitely come back and try out the restaurant. 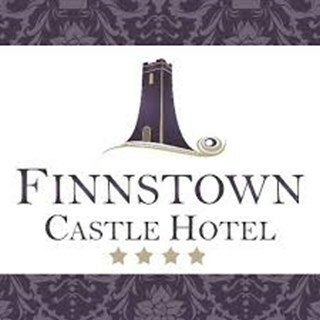 We had a lovely Afternoon Tea in Finnstown Castle Hotel on Sunday 9th December. Everything was beautiful. We will definitely come back. This was the 2nd time to book afternoon , my 1st experience wasn't good as the food and selection was poor but it was over the x mas period . So I decided to try it again and it was 100% better , I would definitely go back and recommend it to friends . Food was delicious and the value of the afternoon is so good. Beautiful setting. I booked Afternoon Tea for 3 people and without a doubt, it did not fail. From the service to the food to the value for money - everything was faultless. We really enjoyed it and will definitely be back again. My boyfriend and I came for afternoon tea. The lady who we spoke to us initially was nice however they didn't have our reservation. We explained we booked in for afternoon tea. She bought us to our table and asked if we had any allergies. We were asked if we would like tea or coffee. 10 minutes later our afternoon tea arrived. It was dropped on our table very quick without any explanation. In our experience most places you are told whats on each tier etc. We also were still yet to receive our tea/coffee. Finally, our coffee was dropped down to us. We both thought the sandwich selection was poor. ham and cheese and egg and onion sandwiches are generally not what you expect for afternoon tea in a gorgeous 4-star hotel. My boyfriend got up and asked a different girl with short hair if we could order a bottle of prosecco. She dropped it down without bringing glasses and there was about a 5-minute wait for the glasses. I work in hospitality myself and I just felt let down for a 4-star hotel we did expect 4-star service and unfortunately, it was 2 star. The venue, staff, food and atmosphere was fantastic and I could not fault it at all. We all had a lovely day and would definitely return for afternoon tea again. We had a brilliant time, our hostess was so polite and couldn't do more for us. We will be returning at Christmas. Thank you so much. Return here time and again with my children, friends and their children, for a relaxed family friendly afternoon tea. The staff are so accommodating, the food is delicious and the grounds are beautiful. We had a beautiful day here for my Mam’s 70th Birthday, we had afternoon tea for 6, the staff were very helpful and catered for our fussy eaters in the group, I would have rated the food and drink 5 stars if there had been a cocktail menu but unfortunately there was none. Other than that the whole day was lovely and the afternoon tea was great value for money. Food was lovely but service a bit slow. This was my first time in this hotel and I had booked afternoon tea for my friend who is due a baby soon. There were 5 of us and I after having afternoon tea in other places before was very disappointed at the portion size for 5 people. You literally got one of each thing but not a big selection. The service was slow and we had to keep asking for water. It’s a good price but wouldn’t be rushing back. I booked afternoon tea for my friend's 30th Birthday and we loved it! The food was lovely and its reasonably priced! We couldn't fault the staff and they even sent out an extra cake for the celebration which was a lovely surprise! We also really appreciated that they substituted some of the food items to suit our taste which you wouldn't find in most places! Will definatley be back! We had afternoon tea in Finnstown house saturday which we were really looking to. Myself and 2 other ladies. We had booked for 3pm. We were directed to sit in bar at 250pm. I checked in with the bar staff and was asked to take a seat to which we sat for 20 minutes. I asked a lounge staff could we make our order. We were then asked to move into the front room. One of our ladies was gluten free option. This was very poor. 2 sandwiches, Chocolate muffin meringue and a scone. We have went to so many other places for afternoon tea and the selections were so much better than what finnstown provided so unfortunately we will not be returning to finnstown house and will not be recommending afternoon tea. Booked afternoon tea for my daughters 16th birthday. As we don't eat red meat, we requested that none of this be on the sandwiches. We got chicken sandwiches and smoked salmon on brown bread. It was really nice, however a bit of egg mayo or cheese would have been lovely for a bit of variety. Lovely weekend at Finnstown castle. The afternoon tea was lovely and very good value. The food in the bar was also lovely, we ate there two nights. The waiting staff were so lovely and attentive. The room was really nice and very clean. Staff are very friendly and helpful. We had a vegetarian in the group and she was well catered for, staff went above and beyond. We will definitely be back. Really enjoyed the afternoon tea, great value and tasting really good.